First revealed late last year, this newest addition to Geneva watchmaker’s Traditionnelle collection (which showcases Vacheron Constantin’s haute horology) combines two classic complications: minute repeater and tourbillon. The watch, with a one-minute tourbillon and an on-demand minute repeater, is powered by Caliber 2755 TMR, a beautifully finished combination of technique and artistry that few other makers can match feature-for-feature. Made in pink gold and platinum versions, the 44mm watch requires only a press on a single pusher to cue the gongs of the mechanism to chime the hours, quarters and minutes. The dial comes in slate grey or silver-toned variations on the platinum models; and is silver-toned for the pink gold version. 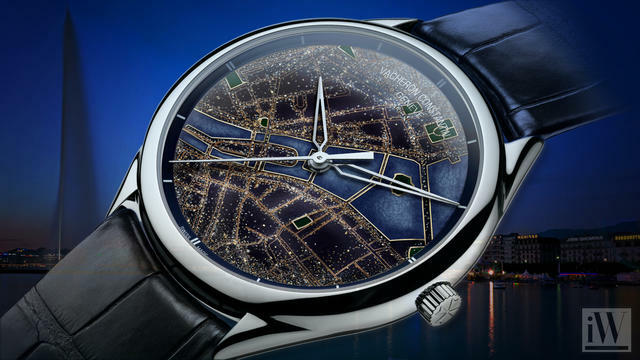 The dial is engraved with the terrific hand-guilloché motif Vacheron Constantin reserves for it boutique-only timepieces. 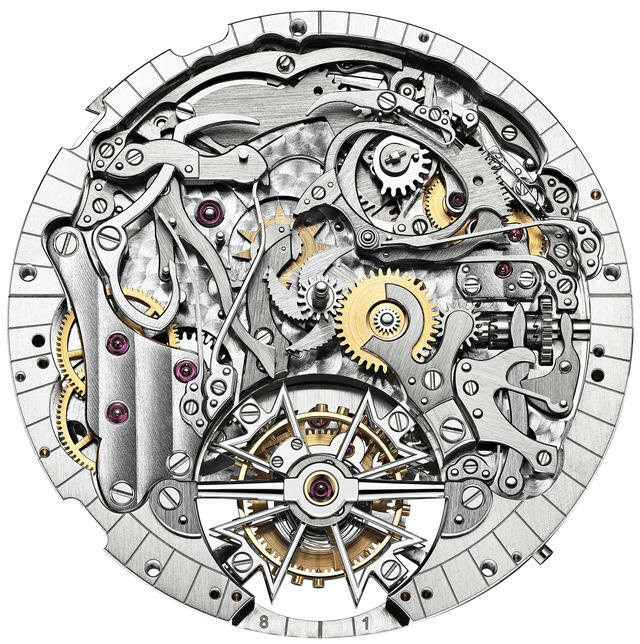 Note that the hours and minutes hands, made of pink or white gold depending on the versions, are slightly offset towards the upper section of the dial in order to provide more space for the tourbillon carriage. A lesser designer might not have pulled off this bit of asymmetry on such a classical piece, but here it works nicely to balance the visual pull of tourbillon and the repeater slide. The 58-hour power-reserve indication can be found on the back of the watch. The timepiece is delivered a resonance holder that serves to amplify the sound and the harmony of the notes struck by the minute repeater. Prices: $490,900 (gold) and $546,600 (platinum). Patrimony Moon Phase and Retrograde Date. On the other end of the price spectrum (for this brand anyway) this white gold or pink gold 42.5mm Patrimony Moon Phase and Retrograde Date updates its forebear by allowing the wearer to set all the displays via the crown rather than by pressing a small aperture on the case with a stylus. In its first position the crown it serves to wind the watch. Once pulled out to the second notch, it can be turned clockwise to set the date or counter-clockwise to adjust the moon phase, while the third position controls time setting. On the dial the cycle and age of the moon are reproduced on a display that will require no corrections for 122 years. 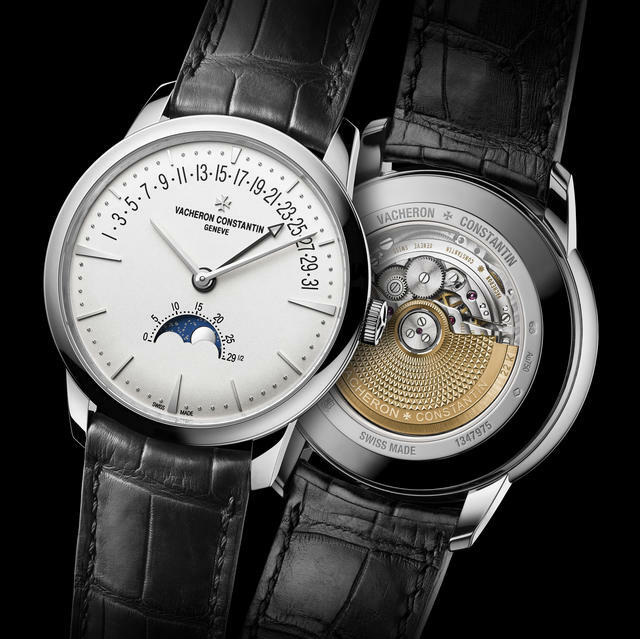 The retrograde date indication is graduated from 1 to 31 across the upper dial arc. The silvered opaline dial is subtly raised around the rim and features tapered applied hour-markers in pink or white gold (depending on the versions) and a circular minute-track. The Maltese cross on the dial, the hands and the pin buckle of the alligator strap are all made from pink or white gold according to the model. Inside the Patrimony Moon Phase and Retrograde Date is Caliber 2460 R31L, a self-winding movement with a 40-hour power reserve and a 22-karat gold rotor. Price: $39,900. Also new in 2017 Vacheron Constantin combined Grand Feu champlevé enameling and hand-applied precious powder, a technique mastered by Japanese guest artist Yoko Imai, for a boutique-only series of artistic watches called Métiers d’Art Villes Lumières. 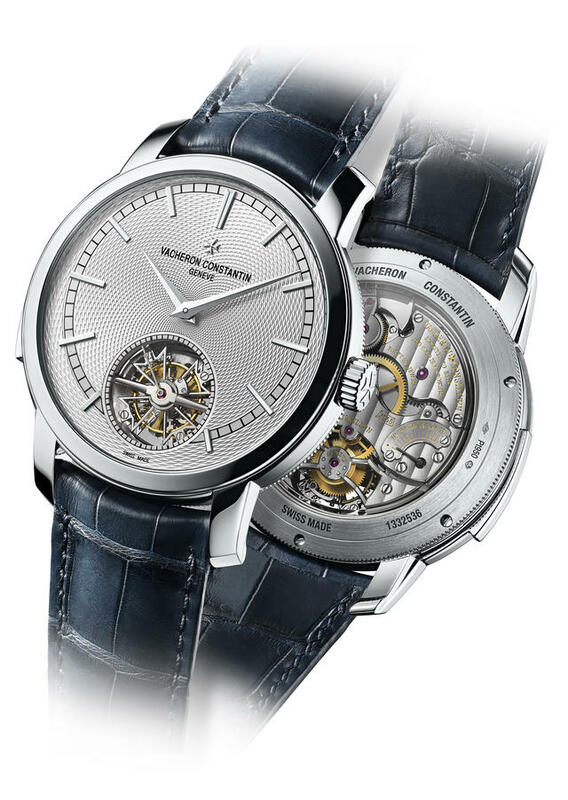 The series marks the first time these two techniques have been used together on a watch dial, according to Vacheron Constantin. The artist places particles of gold, pearl, platinum and diamond powder into the enamel creating bright dots in patterns that compose a portrait of chosen landscapes. 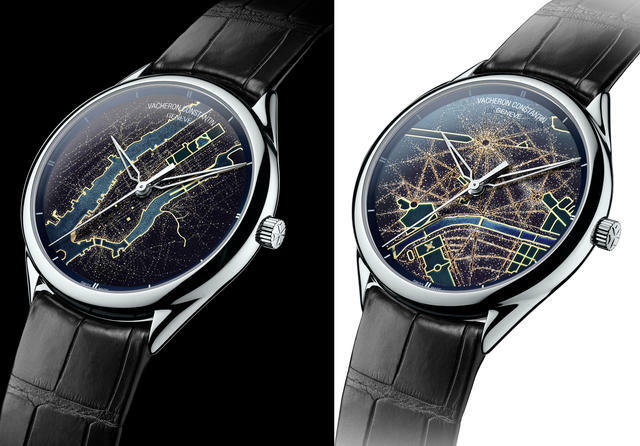 The first three models in this new collection reveal a view of Geneva, Paris and New York at night with the artist’s work creating realistic roads, rivers and famous landmarks. The 40mm white gold watches are of course certified by the Hallmark of Geneva, and inside beats Vacheron Constantin automatic caliber 2460 SC. Prices upon request.